Bloomberg shared the story of the company behind the product that claims to be able to detect shoplifters by monitoring fidgeting, restlessness, and other suspicious body language. The goal is prevention – if the person is approached, the chances are high that the crime never happens. On the one hand, this is awesome. If we can use technology to stop folks from committing crimes, that is a win. On the other hand, it does make me wonder where this road will take us. For example, will the data about the identified shoplifters go to a centralized database? Will that database be shared with other retailers to stop crime together? Will law enforcement make a case that the data should be shared with them? Will we then use the data in the database to move beyond behavioral signals to demographic signals? It isn’t hard to envision why these steps wouldn’t logically follow the first. What happens to someone who makes a bad decision to steal a loaf of bread because he’s going through a tough time? Given how quickly he will be identified and caught, how hard will it be for him to pick himself back up after he commits that first crime? Many questions. No simple answers. NYT reporter Katie Rosman shared a screenshot she found of a teacher who had her students turn up their phone volumes in class and create a collective record of notifications they received. I wonder what this chart would look like if we, as co-workers and family members, did this exercise at important meetings and family meals. And, perhaps more importantly, what if we made it a point to do it periodically? 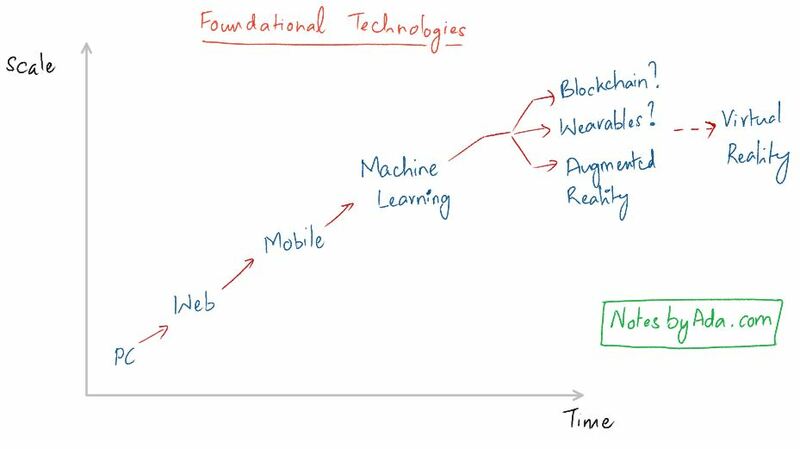 Foundational technologies reach mass adoption – i.e. reach every available user of computing – and are eclipsed by the next wave. In many ways, mobile was the breakthrough foundational technology wave. By reaching nearly every adult on the planet, the mobile wave has made personal computing decidedly mainstream. Thanks to the mobile wave, every future foundational wave will have the opportunity to touch every human being on the planet. Let’s take a moment to reflect on how incredible that is. The world has never been more accessible. We’ve now moved from the era of mobile to the era of machine learning. Like previous waves, machine learning benefits from the fact that everyone carries a supercomputer in their pocket. And, like previous waves, it will only be a matter of time before machine learning will be ubiquitous. All this brings us to the more interesting question – what lies ahead? Is it going to be the blockchain? Or, will the next decade be all about wearables or augmented reality? Except we’re going to skip speculating about the next decade. Instead, we’re going to skip a wave or two and spend time on virtual reality. I am reasonably certain that the next decade isn’t going to be about virtual reality. But, I predict we’ll all spend plenty of time in virtual reality in the 2030s and 2040s. The story revolves around a virtual world called “The Oasis” created by a successful global behemoth “Gregarious Simulation Systems.” A large portion of the population in the story spend their lives on “The Oasis” via their avatars – it even has its own public schooling system. 1. Virtual reality is going to be the ultimate outlet for our desire for escapism. I’d written a post looking ahead at augmented reality two years ago. In it, I wrote about two potential use cases for AR – “fun + escapism and information + insights.” Of these, I think fun + escapism (i’ll refer to this as “escapism” going forward) is going to be the area virtual reality will come to dominate. The industry for escapism is already huge. Think about the amount of time and money spent on television, social media, gaming, and casual (or non-essential) retail. If told someone in 1919 that we’d have humans spend 5+ hours everyday in front of a television, they’d have thought we’d be out of our minds. Now, if we found a way to explain the concept of video games, imagine their reaction if we told them we’d also be spending hours watching others play video games (eSports). We love escapism so much that we’re happy to watch others indulge in it. Our current go-tos for escapism are Facebook and Netflix. But, why would you spend your time in 2D if you had the opportunity to escape in immersive 3D? Next, while we’re at it, imagine the potential of virtual reality for more productive pursuits. E-Learning and meetings for remote workers could both be made possible with powerful implications. And, what if we added the ability to travel – through space and time? What if we had the opportunity to spend time looking at the view from Mount Everest’s summit while also visiting medieval Florence? Virtual reality is coming. And it is going to be big. 2. Corporations will, on average, become fewer, bigger, and more Orwellian. The antagonist in the book are representatives from a corporation called “Innovative Online Industries.” IOI is the largest internet provider and is portrayed as the stereotypical evil corporation. Stereotype aside, however, it did spur a few reflections. The strength of today’s largest corporations are driven, directly or indirectly, by network effects. These network effects have given rise to a world with power law dynamics at a global scale (Alex Danco’s post on the topic from 2015 is excellent) and these dynamics are not going away any time soon. Unless we see a massive change in the global trade change leading to every nation closing its doors – unlikely even if it can’t be ruled out – we are going to continue to see massive global corporations who have access to large amounts of user and employee data. Taking this idea to its logical conclusion, we’re going to see few large global winners across industries. And, just as today’s winners use data to experiment in ways that might have been described Orwellian two decades ago, future global winners will use this data for social engineering in more obvious ways. This doesn’t have to be all bad. Some of this social engineering may actually work out good for us and help “nudge” us to make better decisions. Some, but not all – we’re human after all. 3. I(/we?) should read more fiction. :) The experience of immersing myself in Ernest Cline’s 2045 version of the world brought virtual reality to life in a way no article on VR ever did. So, here’s to reading more fiction in 2019. We kicked off this series – “Notes on Product Management” – by defining the role of a product manager and outlining the 4 key skills required to do the job – problem finding (solving for value), problem solving (solving for usability and feasibility), building effective teams, and selling. Today’s note, thus, is focused on how to think about Marketing and Sales in the product management process. Why Marketing and Selling are part of the job. Marketing, thus, goes beyond price, ads, placement, and product. It is the story about what we do and why it matters. It begins with the product and extends beyond the product. The popular adage that people don’t buy a drill and instead buy a nine inch hole is incomplete. They don’t buy the hole or even the photo frame they hang on the wall. Instead, they buy the experience that comes from looking at something they care about. Great marketing generally starts with great products. But, great products don’t guarantee great experiences. Harley Davidson motorcycles aren’t special because they’re the most technically advanced motorcycles (they aren’t). The Harley Davidson experience, on the other hand, is something else altogether. There aren’t too many other brands who get their customers to willingly tattoo their logo. Marketing and sales are thus part of the job description of every educator, executive, and knowledge age worker. The proportion of the job involving marketing and sales might defer. But, they’re always key. As far as the product manager goes, the importance of marketing and selling are self evident if they’re working on a (usually B2B) product that is sold by a sales team. But, these skills are just as vital internally. It is common for marketing and sales to have a negative connotation when used in the context of the workplace. I’ve seen them used as a proxy for politics. That is unfortunate and is a result of a loss of purpose. Good marketing and selling exist to make important change happen. Product managers who do marketing and selling right ensure their companies don’t ship their org chart. They use these skills to ensure good ideas that add value to users and customers are given a fair shot at changing the status quo. When marketing and selling is done right, the user wins and wins big. On the other hand, when marketing and selling are used just for the purpose of career advancement, the user loses. The good news is that bad marketing and selling never survives in the long run – but, that is a discussion for another day. As Product Managers, we are always attempting to persuade people to take action. We attempt to persuade our customers and users to use our products. We attempt to persuade our executives to resource our problem areas. We attempt to persuade our teams to do their best work. And so on. My visual of this persuasion process is as follows. (1) Direct marketing: This is everything that we do that is content led. When we combine easy-to-use flows and thoughtful in-product copy that attract “self-serve” customers, we’re doing direct marketing. Similarly, when we create a thoughtful strategy doc for a new initiative that wins readers over before the meeting, we’re being effective direct marketers. (2) Sales: The other alternative is to employ the human touch. When we build a product that works and combine it with a narrative that inspires our sales team to be more effective, we are doing our job as effective salespeople. Similarly, when we facilitate an effective discussion that persuades our executive team to support that new idea that will massively improve the way we serve our users, we are selling effectively. (3) Brand marketing: Brand marketing is the friction-reducing atmosphere in our persuasion process. When great brands deploy sales teams, they need to focus less on acquisition and more on customer success. Similarly, when we’ve acquired a reputation in our organization for someone who does great work on behalf of our users’ needs, it becomes easier to get cross-functional buy in. The next step is to explore how we might get better at these skills – more on that in the next two posts. A career and life sidebar: Our lives are an endless chain of persuading people to do things. And, while the process is hard enough when we’re dealing with adults, the difficulty level only goes up further when dealing with kids. While understanding how to apply these skills has a lot of obvious applicability in our careers, they extend well beyond work… making for a fascinating life-long learning journey. First up, our biggest use case is music – specifically children’s music. While we set the occasional reminder, Alexa and Amazon Music (free with Prime) have been an amazing add to the family. Amazon Music’s collection of children’s songs by the likes of Lisa Loeb and Caspar Babypants (the Taylor Swift and Ed Sheeran equivalents for adults) is fantastic. And, it is much easier to request music by voice than fumble with a phone or an iPad while carrying a kid. Amazon’s free music collection is also impressive. While we occasionally stumble upon a song that isn’t available, their radio stations / playlists are top notch for English music. Second, Amazon delivers on value for money at the $30 price point. For most people, the Echo Dot might just replace the need for a speaker. I’ve written plenty about Amazon’s lead in the battle for the home – this experience has been further validation of the strength of their offering. Third, I find it fascinating that Alexa and Google Home only offer a better manners option as part of parental controls. Why is it that we consider better manners only for the purpose of teaching kids? From my experience, I have become more polite in the process of requesting our 2 year old to be more polite. I’d argue adults need this as much as kids do. Perhaps the teams could consider a requirement for all users? At least one “please” for every 3 requests? Overall, a fascinating device and one that has definitely added value. PS: There is, of course, the downside of having a device over hear conversations. The party line from Amazon is that Alexa only hears things when she’s summoned. I am reluctant to buy that and have gone in with the assumption that anything within Alexa’s hearing range is sent to Amazon. As things stand with our experiment now, that’s a trade-off we’re willing to live with. I finally got to reading “Ready Player One” over the last few days. It was a fascinating read – one for anyone who wants to geek out on some fun science fiction. I had two takeaways from the experience of reading the book. It was a reminder on the importance of thinking through the second and third order effects of technology we build. Ready Player One is set in a dystopian post climate change, post virtual reality world. Humans spend most of their lives attached to their VR devices – an idea that can’t be dismissed as improbable given what we’re seeing with device addiction today. The second was a nudge to read more fiction in 2019. I hope to make that happen. 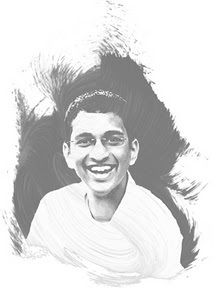 And, I’m also in the market for recommendations – so, if you have a favorite fiction work of fiction you’d recommend, I’d love to hear it (rohan at rohanrajiv dot com). I remember a discussion with Disqus co-founder Daniel Ha where he made the point that companies which were founded around the time electricity became mainstream called themselves “electric” companies (e.g. General Electric). Over time, however, every company began using electricity and, thus, electricity became a foundation layer. When we refer to the “tech” industry, we refer to companies that are “internet first.” That is certainly the case with retail companies like ThirdLove and Warby Parker which were built with the internet in mind. It doesn’t mean they won’t have a physical footprint (Warby Parker does) – it just means they started with internet first assumptions. That means they focused first on selling direct to customers online with a low cost distribution model. But, the new tech company is increasingly focused on the domain of “non tech” companies. As a result, Amazon may have an online retailer when it started. But, it now has a massive physical footprint. Scooter-as-a-service companies like Bird and Lime own scooters. OpenDoor owns homes and so on. 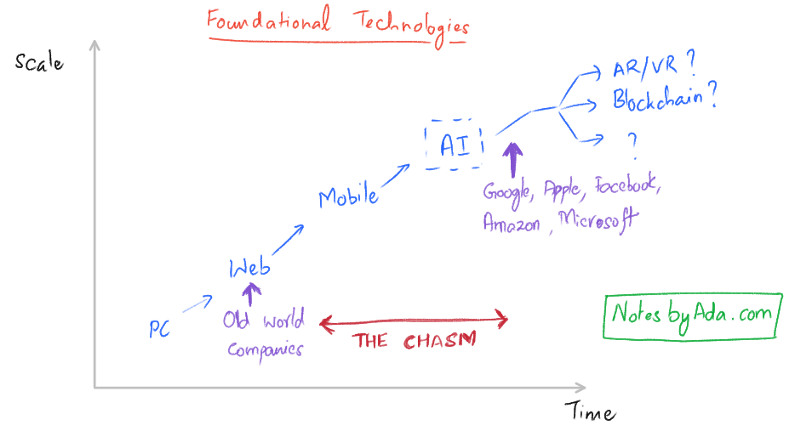 In the next decade, non-tech incumbents across industries will have to find a way to cross the chasm and build with “internet first” assumptions. Or, they’ll lose to an upstart who does. 2. Deep learning may have hit its limits – but its impact will be far reaching. The growing consensus among experts (e.g. Rodney Brooks, Gary Marcus) on deep learning is that we are fast approaching its limits. While that might be true, I think we are still ways from experiencing the impact of full deployment of deep learning in our everyday life. Putting aside the potential Orwellian applications of deep learning (see example of social credit in China), we are just beginning to see the effects of increased automation. Of course, it isn’t just Amazon. For starters, WalMart is testing cashier less Sam’s Club stores and will also be deploying robot janitors in its US stores. The story we’re told is similar to the one told by Amazon – don’t worry, automation only increases the size of the pie. 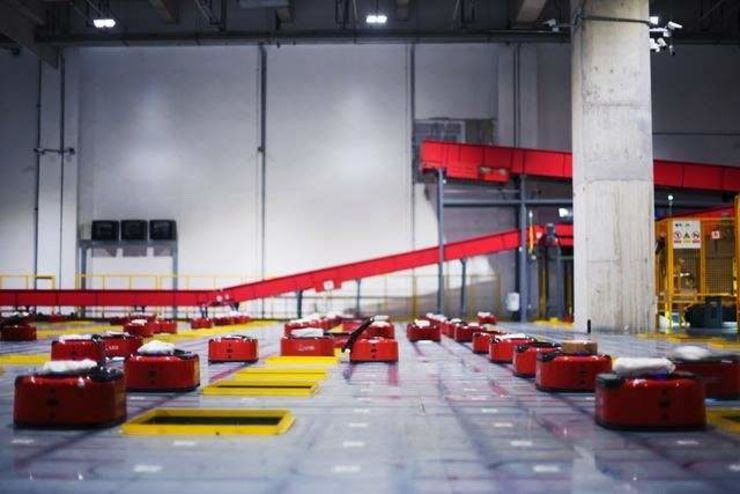 While the story may actually be true for these companies, it is hard to escape the fact that these robots are reducing the overall number of jobs available for humans (see JD.com’s fully automated warehouses). And, while we can all point to the many jobs we created since the industrial revolution, there is also the fact that there was a painful adjustment period. 3. …regulators are clearly skating to where the puck was 20 years ago. Sadly, we saw far too many examples of backwards looking politics and regulation this year. There were two examples of this just in the last week. The first involved a a poorly crafted piece of legislation in Australia that gives the government the right to break encryption for law enforcement reasons without any judicial oversight. And, the second was an exchange between Sundar Pichai and Congressman Smith where the latter claimed he believed individuals could manipulate Google Search results. Indeed, that is the crux of the matter: regulators need to trust users to take care of their own privacy, and enable them to do so — and, by extension, create the conditions for users to actually know what is going on with their data. And, if they decide they don’t care, so be it. The market will have spoken, an outcome that should be the regulator’s goal in the first place. This is an area where we’re in urgent need of innovation. The challenge with combating climate change is that reducing emissions isn’t going to help. For starters, we need commercialized Carbon capture technology that will enable us to capture Carbon Dioxide that is already in the atmosphere. For all these warnings, the response from most governments has been to do the equivalent of bury their head in the sand. That isn’t going to save them.. or us. Living ethically means understanding that our actions have consequences, taking responsibility for how those consequences ripple out across the web of life in which each of us is irrevocably enmeshed and working every day to ease what suffering we can. Living ethically means limiting our desires, respecting the deep interdependence of all things in nature and honoring the fact that our existence on this planet is a gift that comes from nowhere and may be taken back at any time. I can’t protect my daughter from the future and I can’t even promise her a better life. All I can do is teach her: teach her how to care, how to be kind and how to live within the limits of nature’s grace. I can teach her to be tough but resilient, adaptable and prudent, because she’s going to have to struggle for what she needs. But I also need to teach her to fight for what’s right, because none of us is in this alone. I need to teach her that all things die, even her and me and her mother and the world we know, but that coming to terms with this difficult truth is the beginning of wisdom. 5. Optimism matters. When I started writing Notes by Ada in March last year, I thought I’d be sharing notes about the the current state of technology. I imagined picking headlines from the week’s news and tying them together. But, the writing process is one of discovery and I learnt that my interests actually lay in the next few decades instead of the next few months. As a result, I spent a lot more time than I expected learning about climate change as I realized that it is the most pressing technology problem that exists. I also spent time reading about the impact of deep learning on jobs because a lack of jobs means human discontent. Human discontent leads to populist, short term politics. And, any progress toward combating climate change loses with populist, short term politics. The challenge with all this reading is that it is hard to stay optimistic. You realize very quickly that we’re ways off where we need to be. There have been reasons to be optimistic. Electric vehicles are coming. They are going to spell the death of the internal combustion engine and remake industries. We are beginning to experiment with food production technology that will hopefully end animal farming. But, there is still a lot of work to be done. Witnessing this triumph of science, global cooperation and logical decision making brought a tear to my eye. We will need a lot more understanding of nature’s laws in the next decade, a lot more science, and a lot more cooperation in the coming decade. As I look ahead into 2019, I hope to remain optimistic about our ability to do that.